For those unfamiliar, “Exchange” is the name of a new residence building that will be completed in time for the 2019 academic year. “Exchange?” you may ask. “Is that really what they’re calling it?” Yes, it is. Doesn’t sit well on your ears, does it? As far as residence names go, this isn’t one of UBC’s strongest. Why is that? We must turn to the science of linguistics in order to find out. How does linguistics help us understand why the name “Exchange” and the concept of “student residence” don’t mesh well in our brains? This sort of problem needs nothing less than the theoretical framework of how humans create and process language in order to be solved. I have dedicated weeks of research, most of it consolidated on the final day, to this issue. It is a hill I am prepared to die on. Firstly, the word “Exchange” is a verb. This is an uncommon choice for the name of a building, where nouns are strongly favoured. This is apparent in the names of the other residences on campus — none of them are verbs. What makes “Exchange” so special that it gets a verb name? 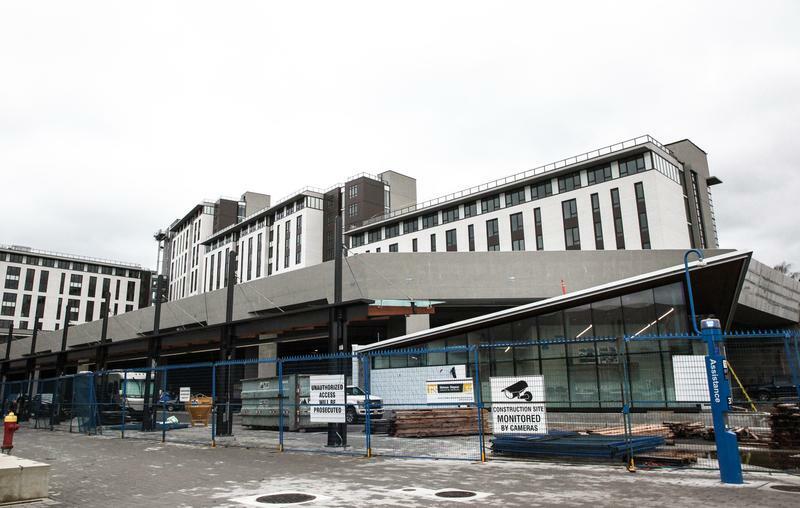 No one but UBC Student Housing and Hospitality Services may ever know. Secondly, “Exchange” begins with a vowel. This is a break from tradition — the grand old residences of yore, like “Walter Gage” or “Totem Park” begin with consonants — but is part of an interesting trend. “Orchard Commons” also begins with a vowel, but only one of its two words do so, which means it only has a 50 per cent vowel-initial word rate, which is superior to “Exchange’s” unacceptable 100 per cent rate. Fourthly, let me address the elephant in the room. The residence whose name you are so familiar with by now is named after a nearby bus exchange, which simply fails to conjure any pleasant imagery in my mind. If the idea was to name the residence after something on that stretch of Wesbrook Mall, there were so many better options: “Confusing Intersection” or “Shuttered Church” are two examples that spring to mind.